Canal City Fukuoka Washington Hotel is located in Canal City Hakata, a large shopping and entertainment complex. The hotel offers the most up-to-date facilities and services for a convenient and comfortable stay. 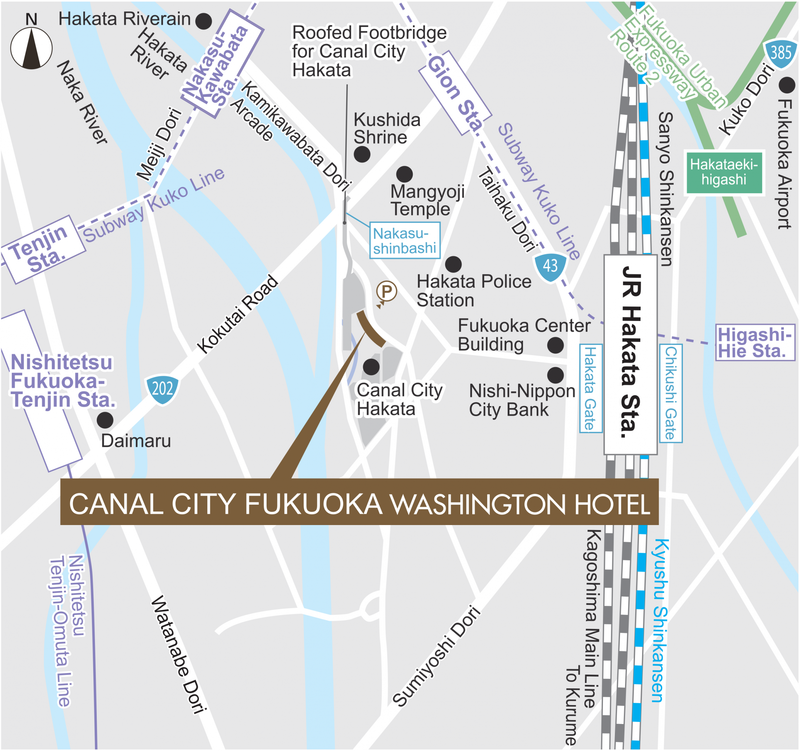 Whether you’re here for business, shopping, or sightseeing, Canal City Fukuoka Washington Hotel is here to welcome you. Rooms are air-conditioned and feature a private bathroom with a bath and shower, a hair dryer, a flat screen TV, and a refrigerator.